Home / Stratacon Professional Recruitment: News & Blogs / R U OK? Day – Stratacon Team are walking 20K on the 13th of September. R U OK? Day – Stratacon Team are walking 20K on the 13th of September. 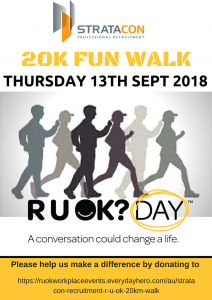 Our Team at Stratacon Professional Recruitment will be doing a 20K WALK from our Office in Southbank to Blackrock on the 13th of September to raise awareness for R U OK? DAY. 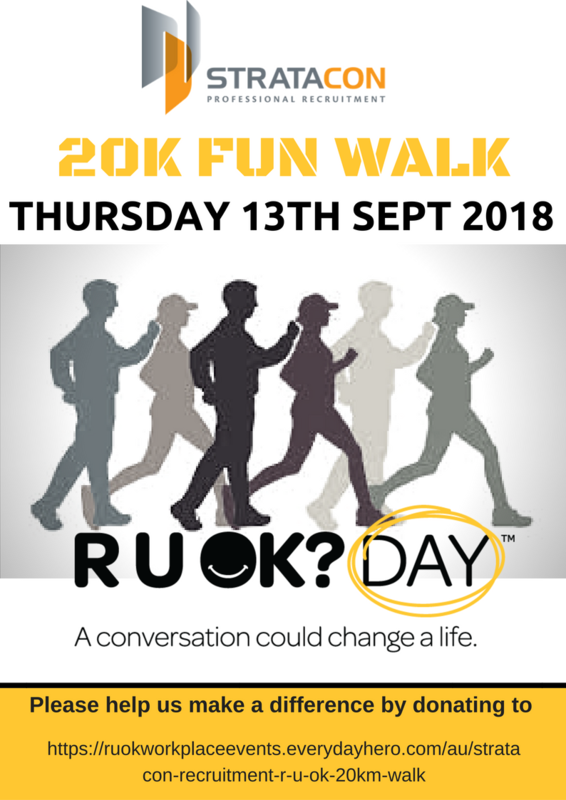 The more people that know about RUOK?, the greater their impact, so please also spread the word by sharing our page with your friends and family. Thank you in advance for your generosity, it means a lot!